Find all of our program offerings for March through May in our Spring 2019 brochure. For grades 5-12. Registration is FULL. April 8: Button Art. Create art using various sizes & shapes of buttons! April 15: Squishies. Create your own squishy! They are the perfect squeeze toys to relieve stress…and also just super fun. May 13: Chalk up the library! Work together to create something beautiful and decorate the sidewalk outside the library. May 20: Give back to others! Gratitude & giving back is good for the mind. Work together to complete a service project for a local organization. Children’s Concert Fundraiser for the Library! Amanda Grace is releasing a new album for kids called “Music Makes It Right,” so we’re kicking it off with a concert at the Winona County History Center (160 Johnson St.) on Saturday, May 18th at 10:30 AM. Amanda puts on an energetic and audience-involved concert great for all ages. 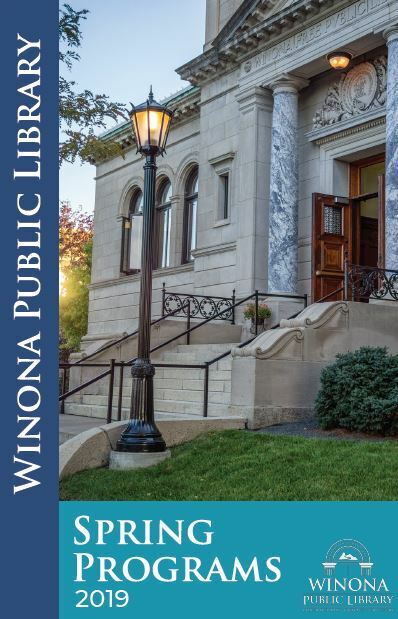 Amanda is putting on this concert as a fundraiser for the library, so a portion of ticket sales will go back to Winona Public Library. To purchase tickets, please visit: musicmakesitright.brownpapertickets.com. Teens in grades 5-12 are invited to join us at the library for an afternoon movie. Popcorn provided. “Avengers: Endgame” comes out in theaters on April 26th, so come and catch up on all that went down in “Infinity War” (it was a lot) before “Endgame” releases! We’ll be screening “Infinity War” on the big screen in the Art Room. This film is rated PG-13, and the running time is 2 hr 40 min.